You can certainly count on Bangalore to think up ways to make beer accessible to all. And this time, Bangalore Brew Works is looking to add those who are gluten intolerant to beer drinking tribe. Ladies and gentlemen, say hello to quinoa beer, the first and only gluten-free brew in town, and possibly country. 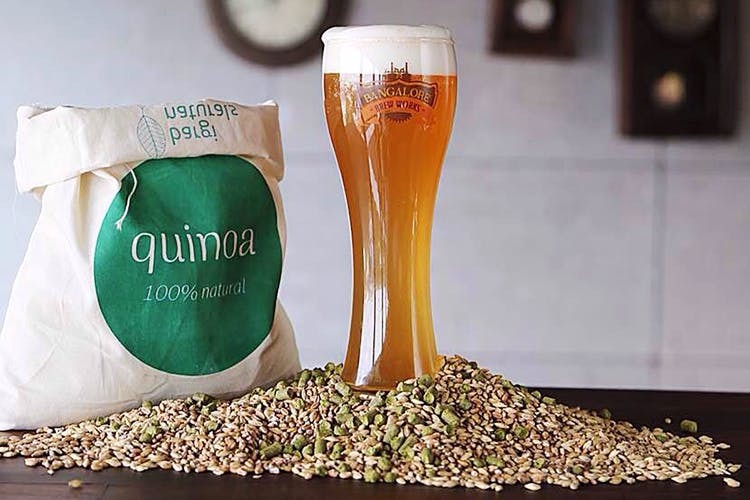 Brewed using special grains, sourced from Ananthpur, in Andhra Pradesh, the usual beer grain are replaced by quinoa to not only give you gluten-free beer, but also a healthier one. Or so we’re told! Apparently, since the quinoa is more healthy, fibrous and with less carbs, we’re hoping to guzzle away and maintain our flatish tummies!